The disambiguation of verbs is usually considered to be more difficult with respect to other part-of-speech categories. This is due both to the high polysemy of verbs compared with the other categories, and to the lack of lexical resources providing relations between verbs and nouns. One of such resources is WordNet, which provides plenty of information and relationships for nouns, whereas it is less comprehensive with respect to verbs. 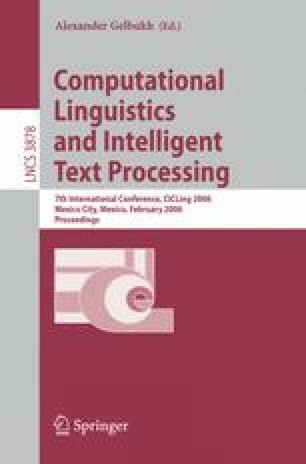 In this paper we focus on the disambiguation of verbs by means of Support Vector Machines and the use of WordNet-extracted features, based on the hyperonyms of context nouns.